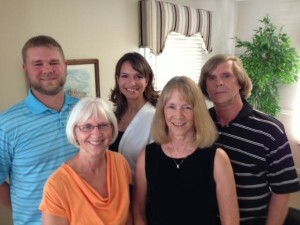 The Scully-Monroe team, from left to right: Matt Dresden, Deb Wiebeck, Joanna Nicole Varnavas, Nancy Dresden and Roger Dresden. Scully-Monroe Agency in Howell – one of the oldest continuously operating businesses in the area – is celebrating its 95th anniversary this year. Founded in 1919, Scully-Monroe was one of Citizens’ earliest-appointed agencies. The agency continues to represent Citizens, as well as Auto-Owners and Cincinnati Insurance. Scully-Monroe was owned by the Scully and Monroe families until they sold the agency to current President Nancy Dresden’s father in 1963. Dresden began working in the agency as a co-op student in high school. She left for college and returned to the agency in 1974, becoming its president after her father’s death in 1989. Dresden has seen plenty of changes in the marketplace and through technology, but one thing remains constant. 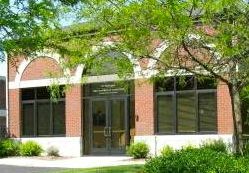 Scully-Monroe Agency Inc. is located at 803 E. Grand River Ave. in Howell. You can check out its website by clicking here, and you can like its Facebook page by clicking here.